When the cold weather rolls in, we roll the shearling out. This soft, warm textile is well represented in men's winter outerwear and accessories, coveted for its warmth and robust, luxurious look. It provides great insulation, whether worn in its authentic state—recently shorn sheepskin—or as an equally plush faux fabrication. In the ‘70s, shearling was often worn with the natural suede side showing outward. These days, a more modern look can be achieved as a lining on sleek black leather, casual denim, and even weatherproof materials. 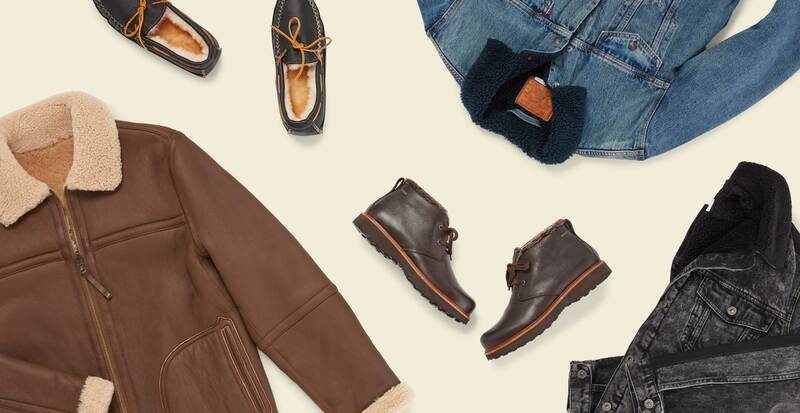 Don’t be too quick to discount suede versions, however: they can add a rugged finishing touch to a fall outfit in the form of accessories, like hats and shoes. Feeling snug already? Keep scrolling for two warm and stylish ways to wear shearling this season. 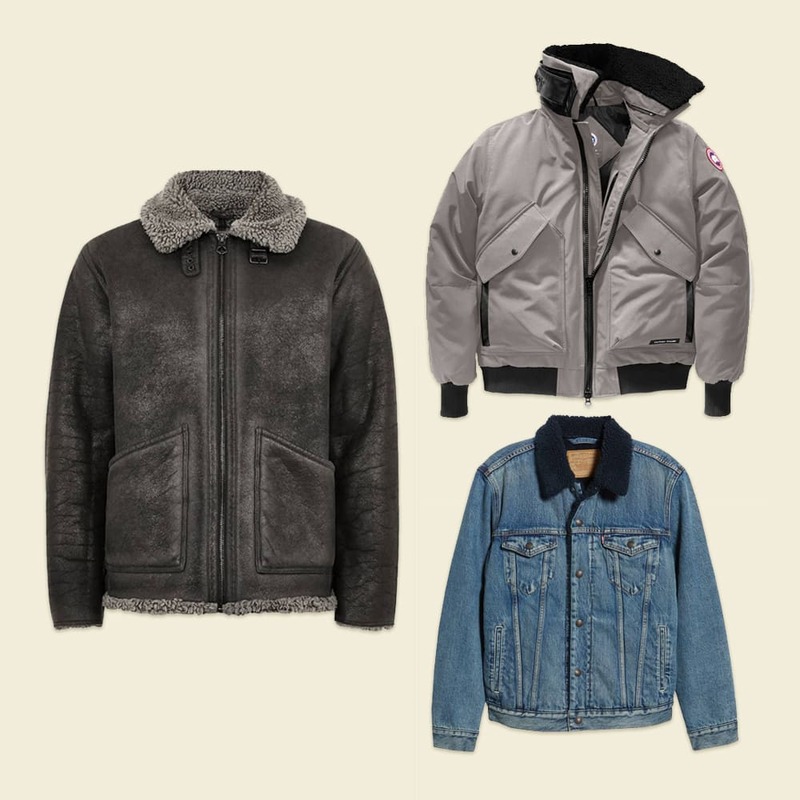 Shearling’s rise in popularity can be traced back to the ‘40s, when pilots wore it in bomber jackets while flying small, uninsulated aircrafts. This piece of history has been preserved in modern stylings as well, as these same jackets are often paired with aviator glasses. You’ll find a range of fabrications, though sometimes the textile is used only in a few strategic places, like cuffs and collars. A small touch, but one that adds a surprising amount of warmth. Durable consistency and a soft surface make this a doubly effective material for cold-weather accessories. As with jackets, it can come into play as a cushy lining—excellent for a pair of slippers on a crisp fall morning. 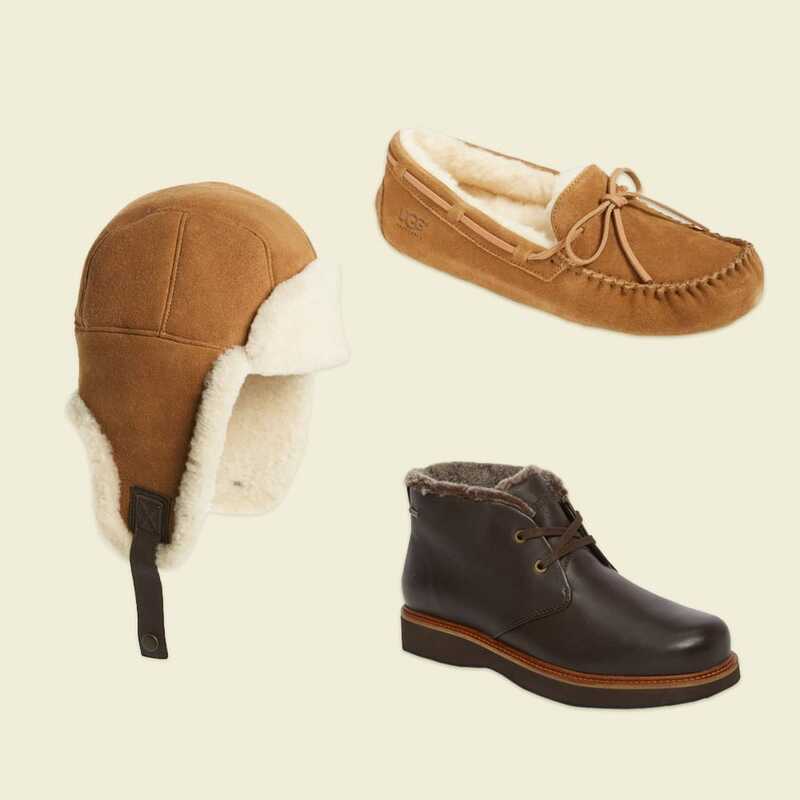 One thing to consider when buying these accessories: the real stuff breathes (important for feet and heads), and is more flexible than faux shearling, which is made with synthetic materials.